I definitely gained weight over the last few years now and it is hard to lose some weight. Last night, I tried sit-ups and I couldn’t even bend my body towards my knees. How sad is that? Though I have been planning that I am going to slow down in eating every meal but for some reason every time I eat Pinoy foods I always forgot that I need to lose weight. Over the last few days now I’ve been eating vegetables bamboo shoots, long beans, bitternut squash, and dried fish and it tasted really good together. I always eat with my hands and never use any spoon or fork. Eating these types of foods always reminds me of how we eat in the Philippines. Only simple meals yet taste really good. I am not a big snack eater but I always make sure to have rice in every meal. Oh well, I am still disappointed that I haven’t gotten any grab bags from my other publishing sites. I still have payments coming though I need to wait until I reached $50 before they can send out my payments. 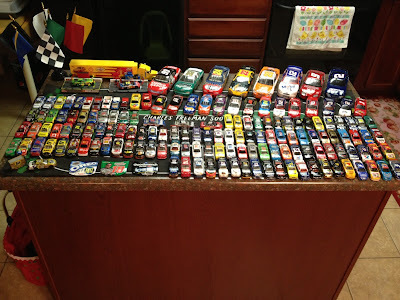 My husband, Doug is very obsessive so he put up all of Charles NASCAR Cars collection last night. He already has 156 NASCAR Cars all together. With Charles a huge NASCAR fan, and Nationwide Series fan he knows all the race car drivers, name of the car, and their numbers. Though his favorite NASCAR driver of all time is Brad Keselowski, whenever he is close to winning a race he gets very excited when he watches the race every Sunday and even practices. Aside from Charles’ NASCAR Cars collection he also have lots of Monster Trucks, Matchbox, and Hot Wheels Cars collections. I would definitely post a picture of them when my husband puts all of Charles cars together sometime soon. My husband, Doug just last week before we went to Branson had to go get a tire fixed on his car. Doug, was really impressed by the equipment in the tire shop. Doug used to work in a shop when he was younger and really appreciated the best buy auto tire changers that were used in the shop. As Doug always say it is always better to buy the best. My husband’s Spring Break is almost over so we had decided to do something fun outside the house today. I shopped at Victoria’s Secret and used some of my money that I got from blogging. Doug decided to stop by at Marshalls but we couldn’t find anything that we both liked. We also went to an antique store, Think Outside the Box here in Rogers, Arkansas. The store was so big and there were some booths that are still empty. We found lots of NASCAR Cars though it was way overpriced so we didn’t end up going home with a bunch of cars. After the antique store I went to A’Chau Oriental Market. I was so excited when I saw jackfruit, mango, long beans, and milkfish. The jackfruit tasted really good as I ate it all after our dinner. 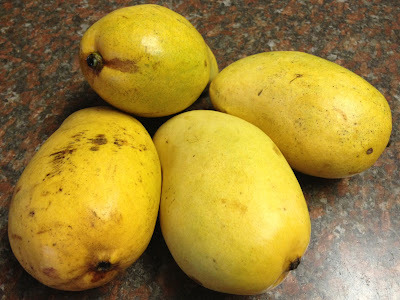 And for my mangoes I am going to make my homemade mango ice cream. Just add whip cream, condensed milk, vanilla and blend it all together. 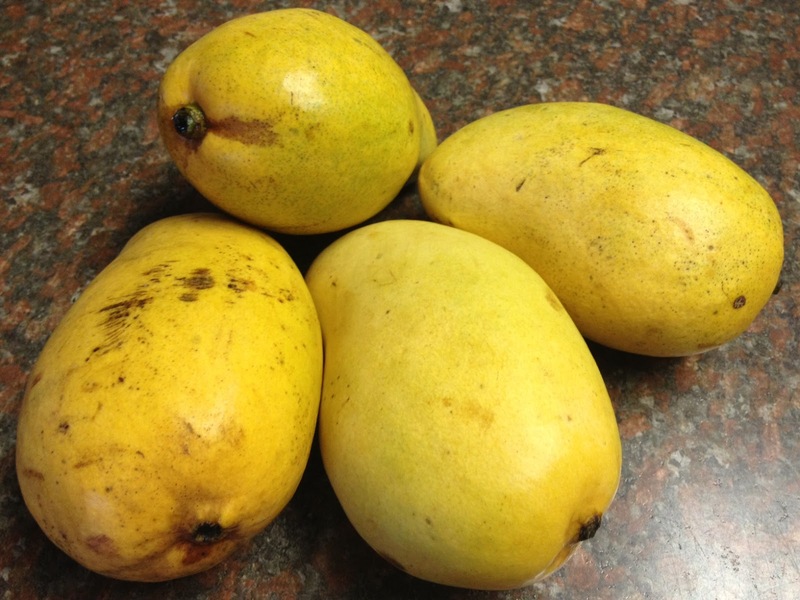 Charles likes when I make my homemade ice cream though when it is only mangoes he won’t eat them. Spring has just began and Branson is already crowded with tourists from people around the country. How much more during summer? Just the other day we went to Branson and ate at Joe’s Crab Shack. We ordered Joe’s steam pot for two and our crab legs, and shrimp tasted really good. I shopped at Tanger Outlet while my husband, Doug and Charles shopped for themselves. I found a lot of great items and amazing deals on Levi’s Jeans. Of all the stores that I shopped at in Branson, I was impressed most by Tommy Hilfiger. I bought a pair of shirts and the price was very affordable. They have a great clothing line and I could see myself wearing their clothes from now on. After Branson, we also stopped by at my husband’s friends house in Ozark, Missouri. Greg is married to a Filipina and I was glad when I met her. We stayed for a couple of hours and chatted, while Charles and Greg’s son Brody enjoyed playing. It was around 9 o’clock when we checked in at AmericInn Hotel in Republic. I guess we were the last people to check in at the hotel and the room that my husband, Doug had reserved for us was already used. So they upgraded our room from regular to suite room with the same rate as the other one. It was a great deal specially when we got inside the room and saw the jacuzzi in the corner. Since it was late for us to go swimming at the pool we soaked ourselves at the jacuzzi. Charles really enjoyed it. The next day he was in the jacuzzi again. We also visited the NASCAR store in Springfield, Missouri. Charles was in heaven when he saw all the NASCAR Cars in the store, as he said it was his dream. We also went to Bass Pro Shops and saw a NASCAR trailer outside Bass Pro. Guess what’s inside? A real NASCAR Car of Bass Pro Shops, and number 3 car of Dale Earnhardt SR. It was just an amazing day for Charles and I am glad I went with them before I went shopping. Only a few days left before the Spring begins. How are you going to spend your Spring break? My family and me are going to Branson this Tuesday and visit his friends in Springfield, Missouri. Charles wants to go to Bass Pro Shops and I would love to shop at Tanger Outlet in Branson. Well today, I bought 2 new pairs of XAPPEAL Sandals from Rack Room Shoes. The sandals were on sale plus BOGO half off price off. 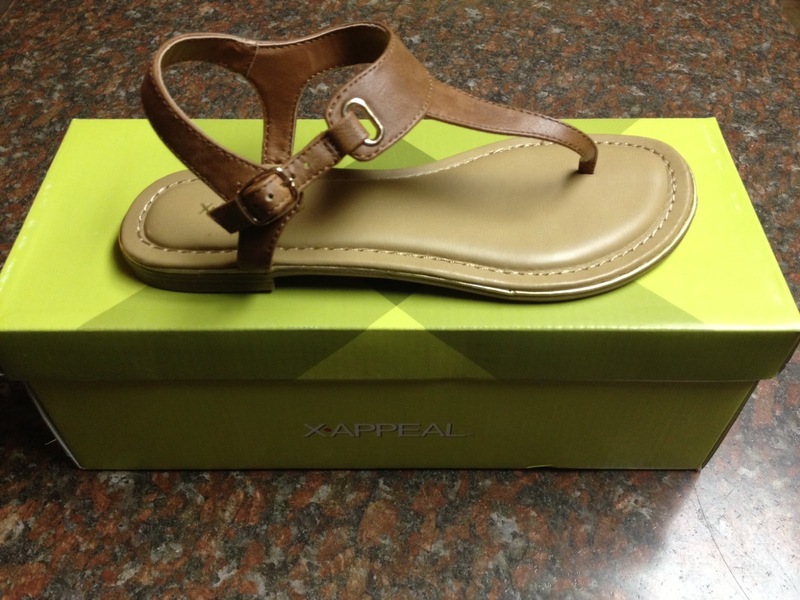 I thought it was a great deal specially since I have trouble in finding the right size for my feet. 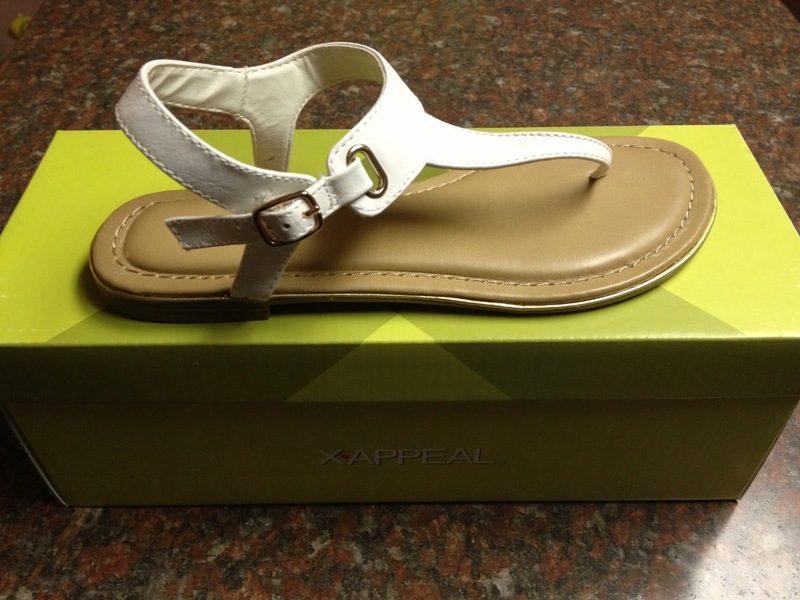 I am very comfortable wearing sandals and jeans during spring and summer. Then we headed to Shogun Japanese Steakhouse for our dinner. Charles ate most of his noodles on his plate even though he was having a hard time in using chopsticks. My husband, Doug also liked his food and I am glad he tried on sushi. Me, I never really liked my food. The noodles and the vegetables were too bland so I only ate all the shrimp of my hibachi order. On my husband’s spring break Doug, and I are planning to go to Branson and visit some of his friends in Springfield. It has been a couple of years now since the last time we went to Branson and I would love to go shopping at Tanger Outlet. I love to shop at outdoor malls especially when the weather is warm outside. The kind of weather that we’ve been having over the last few days has been anything except warm and sunny. It’s been raining most of the time and the weather is getting colder. Hopefully during my husband spring break the weather would be nicer so we can do fun things outside the house. I still have my Dillard’s gift card that I got from Christmas this year and I would love to use it. Driving the car is definitely on my lists to do during Doug’s spring break so I can take the driving test and get my driver’s license. Doing things with my boys like groceries and shopping are not fun things to do especially with my 4 year old son, Charles. As soon as he got what he really wanted from Walmart he wants to go home right away. Charles also gets bored every time we go shopping of course it irritates me quite a bit. Of course Charles is just four and every four years old gets bored shopping for clothes. Yes I have my moments and I keep on trying to be a better mother for him. Stretch your dollars by using online coupons on everything you buy both at your local stores and online as well. As a mom I have been using coupons basically on groceries, clothing, and shoes for the last three years. Just the other day, I used my Victoria’s Secret Gift Card that I got from Valentine’s Day. With my gift card I used Coupon Chief coupon codes as I shopped at Victoria’s Secret’s website. Using the gift card was great but stretching the gift card even farther with a good coupon really made me feel like I was getting a great deal. If you are still paying the full price on everything you buy at the store or online you’re not getting the most out of your money. Coupon Chief coupon codes has thousands of coupons to use on every thing you want or need for yourself and your family. The coupon codes are easy to use both at the store and online. I have used Coupon Chief coupon codes many times over the last year and they have saved me a lot of money on everything from clothing to shoes to toys for Charles. Even my husband has used coupon codes to order MMA style shirts online as well as shorts and hats. If you are looking for new windows you need to get the best for your home. The best windows by far are available from Pella Windows. If you are looking to get a window replacement richmond va you can find Pella Windows online for a great price at http://www.pellavirginia.com/stores/richmond.htm. Pella is the leader in windows because of their incredible quality and long life. It has been a long time that I have not received a grab bag offers from one of my favorite blog advertising sites. The worst part is I could not get my payment of $37 because they adjusted the payment threshold to $50. How can I get my payment when there are no more grab brag offers or tasks coming? Another blog advertising site charged $2 fee when a blogger withdrew under $50. Thankfully my husband, Doug has his own job to provide our basic needs and pay our bills. If I have to rely on my income from blogging we would not have enough for my family not even even for our phone bill each month. Yesterday, Charles and I watched the State Youth Wrestling Tournament, at the High School my husband, Doug coaches at. I thought Charles would be interested in watching wrestling but he wasn’t. He said he was bored and wanted to go home so he can do his car race and play basketball right after we got inside the school gym. While watching some kids wrestle and others were asleep I realized how long a day it was for them. I imagined being at the school before 8 o’clock in the morning until 5 o’clock in the afternoon would a very long day. Charles and I watched the tournament for about one hour and he thinks we’ve been there for ages. He really wanted to go home really bad. When my husband, Doug took us to eat at the hospitality room in his classroom Charles was more excited when he ate cake frosting rather then watching wrestling. So Doug, drove us back home as soon us we entered the garage Charles sang “Home Sweet Home”, he was just too happy when we got back home and played race cars right away. With my four years old son, Charles it seemed like I already have a teenager in the house. Just yesterday, he saw a Proactive commercial on television and Charles said; “Mommy You Need to buy that”. I burst out laughing really loud as I wasn’t expecting Charles would recommend Proactive for me and Tag Away for his father. Besides I never use any beauty products on my face just to look beautiful. I don’t want to waste my time and money in buying beauty products. I like the way I look and won’t apply any products to my face. This is who I am and my face is not going to change to keep me looking younger. Also, Charles wanted to go to the North Pole and ask Santa Claus for a new Scooter, a Geico Nascar, and Rip for his World Grand Prix. Television commercials are always sold out when it comes to my son, Charles as he wants to buy them all. For dining commercials when he knew we have never eaten on the place during commercial Charles will say ”mama we have never eat there we need to go there“.